Your four legged family members can get bored waiting around the house all day while you’re at work - Dani's Barks & Rec helps your dog get the excitement they crave. 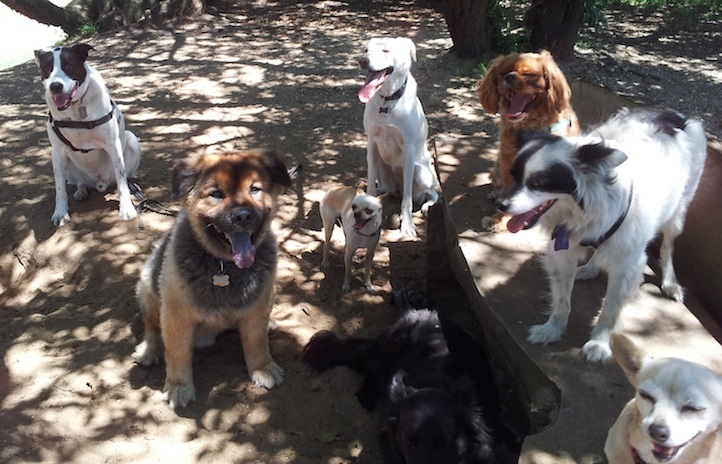 Walking, running, playing, and socializing are all part of an everyday walk for our pack! Solo walks are also available. Going on vacation or just working late and need someone to feed your dog, cat, or exotic pet? Reptiles, Birds, Cats, Dogs, Rodents — even pigs! — Dani's Barks & Rec can help you out whenever you need it! We service San Francisco, Daly City, San Bruno, South SF and Colma. Please call or e-mail to discuss your needs further! Dani's Barks & Rec is not just a dog walking company: we have experience and can take care of just about any type of pet you may have. Ask about our dog walking or pet sitting services!